Yesterday, Nintendo and Square Enix delighted Final Fantasy fans by announcing a whole bunch of new Switch ports. There’s Final Fantasy 7, Final Fantasy 9, Final Fantasy 10/10-2, Final Fantasy 11, and even the adorable pocket edition of Final Fantasy 15. But where’s Final Fantasy 8? 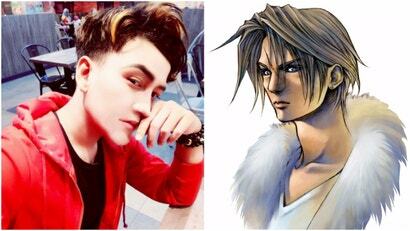 Amirul Rizwan Musa, a 21 year-old entrepreneur from Malaysia, has spent RM200,000 ($AU58,567) on cosmetic surgery to look like Squall Leonheart, minus the scar. Can you see the resemblance?